This guide will give those looking for financial security the knowledge they need to manage their money effectively. Whether the goal is to own a home, create a retirement plan, or just get out of debt, financial freedom is within reach with this economic guide. Written in easy-to-understand language, this resource includes valuable tips and inventive tricks to save money and develop better spending habits. Seven building-block strategies pave the way to a secure future for you and your family. Minor lifestyle adjustments can generate unexpected amounts of savings. Jerry LePre introduces seven simple strategies that will lead you to maximum financial protection with a minimum of difficulty or unease. 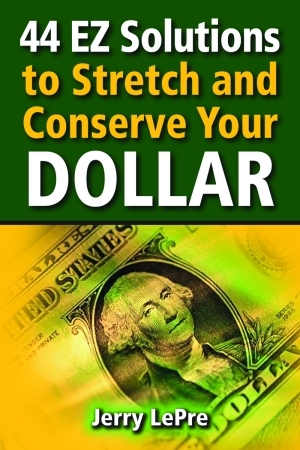 He shows how to save on insurance premiums, utility bills, gasoline costs, and grocery expenses. By taking the money saved from these modifications and investing it, the return can be used for the next big expense. Not only does LePre provide excellent information on how to save money, he also gives numerous examples of what to do with the savings. Selecting the right plan of action includes choosing financial institutions that provide the most opportunities for you. 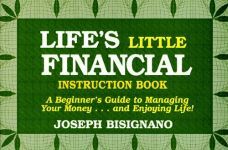 With a simple and effective outline, the author explains the ins and outs of credit unions and banks, gives suggestions for how to invest for the greatest return, and get the best tax breaks. Timeless advice shows that there is never a bad time to be money-conscious, because the more you plan, the brighter your future. C. Gerard “Jerry” LePre is an award-winning journalist, professional speaker, corporate trainer, and insurance professional. He has served as the assistant vice president of marketing and training for the fastest-growing HMO in the South. In 1992, he founded Faith Financial Ministries, Inc., a nonprofit organization devoted to teaching Christians how to obtain financial freedom. LePre is a leader and innovator in the fields of financial planning and risk management and a noted lecturer on Christian finance and consumer awareness. Also the author of God's Money-Back Guarantee, published by Pelican, he resides in Destrehan, Louisiana.